My apologies, this is going to be quick. Bears is super light, and can be learned in a minute. By the time you finish reading this review, you could have learned the game or played a round. It is my favorite of the dice light games (2nd: Martian Dice, 3rd: Pass the Pigs, 4th: Zombie Dice). 1.) Simultaneous play. No longer do you have to wait for your turn. Everyone goes at once. 2.) Learnability. As mentioned above, the learning curve is very shallow. 3.) Responsive Strategy. What do I mean by that? If you want to win this game, you have to pay attention to the dice that everyone else is grabbing. If you can think quickly enough, you can provide your opponents with negative points, or you can provide your self with major bonus points. This game is hard to dislike. It is so light that even if it isn’t your thing, you’ve only invested minutes of your life. Bears continues to hit my gaming table regardless of the audience. It is a great filler and warm-up game. I will preface this review with a quick explanation of my typical gaming group. My friends get together every Tuesday. We do different activities based upon the season. For instance, during the summer time, this Tuesday group usually plays volleyball and swims. In the winter and often the evenings, we play games. My point is this, my group has several people that are not traditional gamers. They want something fun, relatively light, and relatively quick to learn. 011 was a hit with my group of non-traditional gamer friends. It has a strong Clue type feel to it, while also causing many players remembering evenings playing Scotland Yard. Therefore, it has a classic feel to it almost immediately. After the first few rounds, all players are comfortable enough with the rules as the basic mechanics are repeated every round. The game really is a work of art, and it does exactly what it ventures to do. It will transport the players to an alternate Steam Punk time filled with mystery. For my group, it is a difficult investment, but one that pays off in the end. Allow me to tell you the worst three things and the best three things about it. 1.)Learn-ability. My social gamers like to sit down and get right into a game. If rule explanation takes more than 15 minutes, I’ve lost most of them. Initially, the rules seem daunting. There is a whole lot going on, and the board reflects that as do the several components to the game. 2.)Playtime. With my group, guests may arrive and leave throughout the night. Depending on the players with whom you play, a single game can easily take over an hour. For my group, that simply is too much time. However, I would be amazed if there was a better way to locate the “Inscrutable Organ of Eternity”, figure out who is the “Chosen One”, and play the sacred “Song of Making” with less time. 3.)Relearn-ability. Fortunately, the game really provides an amazing experience for the group. Unfortunately, you’re likely to have to relearn the entire game if you go several months without playing. This happened to my group as they remembered how “worth” the time-investment was in learning the game and wanted to pull 011 off the shelf again. We all thought we would remember how to play the game instantly. No. You’ll have to relearn the game without regular plays. 1.) Learn-ability. But wait! Didn’t you just say that this was a complaint of the game? Yes, it does take a bit to learn… at first. My advice is to simply have players play a round or two. Because the mechanics repeat every round, any player should know the rules confidently by round 3. My advice is to explain very little at first, and then simply take players through each step of a round. It is much easier to digest, and the flavor lasts. 2.) Visual Appeal. The quality of this game is off the charts. The cards feel thick and durable, and the board is a masterpiece. The gears work well and look awesome. Even the plastic minis add to the experience of playing a “quality” game. When players simply see this game, they want to play it. 3.) Gameplay. This is the most important aspect to any game. 011 has this in spades. The gear mechanic works so well, and really adds to the decisions a player can make. Using time as a currency is brilliant. If you like any deduction games, 011 is your game. If you like hidden betrayer games, you’ll enjoy 011. I thoroughly feel that after playing 011, I can’t go back to Scotland Yard, Clue, Kill Doctor Lucky, Nuns on the Run, or any game that even shares a little of 011‘s appeal. This is saying a lot, because 011 shares the appeal of so many classic games. Overall, this is game is absolutely beautiful for what it is. It has a bunch of interesting mechanics that meld together wonderfully. I recommend putting the time investment into learning it and the time investment into playing it. Once you do, 011 will be requested by players anytime they have the deductive itch. Lady luck has been murdered, or at least injured. No longer are we at the mercy of the luck of the card draw. Strategy and immersion has a new name, and that name is Mage Wars! Mage Wars is the Thunderdome for two mages. The game has four mages, each with a distinct feel to them. For instance, the Warlock is a direct damage loving pyromaniac that doesn’t seem to need to rely on summoning creatures (because he himself is a tough cookie of magic). The Beastmaster is totally the opposite, in that he can summon a whole bunch of creatures really fast. No matter what Mage you choose, you’ll do your best to crush your opposing Mage. But here is the epic part of it all… Spellbooks. Yes, spell books. Instead of having a deck of cards from which you must randomly draw a card, you have EVERY spell available to you in your spell book from the beginning of the match. This means that you are constantly changing strategies and adapting to what your opponent is doing. Also, Mage Wars gives you the biggest bang for you buck. I can’t emphasize enough how many goodies you get when you open the box. You get everything you need for a two player game, including the 300+ spells (yes, over 300 spells! ), the four different Mages (Warlock, Beastmaster, Priestess, and Wizard), two spell books (to hold all of your spells), plenty of attack dice (the random element to the game) and tons of condition markers (burning, poison, stunning, dazing, oh my!). Plus, all of this awesomeness comes in a package made to hold ALL OF IT!!!! This game can’t get old. Move over Magic (MTG), get lost Summoner Wars… there is a new king in town. Mage Wars!!! Why am I writing this review when I should be playing!?! To say that I’ve played this game a couple of times is a complete understatement. Since it’s release, I’ve played this game with my friends a minimum of 3 times a week. At GenCon 2011, I worked a bit at the Cambridge Games/Indie Board and Card Games booth and ran many… many games of The Resistance. Each round, a leader choices a predetermined amount of players to go on a mission (leadership rotates after every round). The players that go on a mission give the leader one of their two mission cards face down, and then the cards are shuffled. The two mission cards consist of a “Pass” card and a “Fail” card. The leader (after shuffling the cards) reveals the mission cards. If just one of the cards revealed is a “Fail” card, the mission failed as there was obviously at least one spy on the mission. If all the cards are “Pass” mission cards, then the mission was a success. The game is played until one faction (either spies (with failed missions)or Resistance (with passed missions)) wins three rounds. Before The Resistance, I played Werewolf/Mafia an incredible amount. This game provides a very similar experience without elimination. If you are discovered as a spy (a bad guy sabotaging missions), the game isn’t over for you. You keep playing, but a leader is not likely to put you on another mission. This is where the game really falls short. I really don’t understand how some of these mistakes made it all the way through to the 3rd edition. First of all, the cards do not have symmetrically designs on their backs. This means that there is a noticeable “top” and “bottom” to every card. So when someone gathers the mission cards or deals the character cards, if you noticed which cards where upside down… you can determine who got/used which card. If the cards were symmetrical, my group wouldn’t have to make sure that all the cards were aligned the same way. Finally, there are more cards in the game that are needed. There are cards that leaders are supposed to give to players they nominate to go on missions. This is ridiculous as they leader could simply give the players the mission cards. This wouldn’t be a big deal, as getting more cards in a game is usually a good thing. The problem is that the game doesn’t fit in the box as well as it could without those cards. The game is not for everyone, as it does indeed force you to lie. You’ll be put in a situation where you will have to look friends and loved-ones in the eye and lie to them. Other times, you will have to work hard to convince players that your friend/loved-one is lying, that they are indeed a villain. Needless to say, this game requires a lot of good sportsmanship to prevent hurt feelings. I’ve seen friendships destroyed and relationships ruined. This game can burn bridges with people. That being said, I play this game more than any game. Be a good sport, remember that it is just a game, and that the goal is fun. Do this, and you’ll enjoy a game that will be played for centuries to come. No, I am not exaggerating. I will keep this short. Sometimes games get so involved and complicated that you eventually realize that this game is more work than it is fun. A began to get a flavor of that with my 3+ hour initial run of Dungeon Lords. My experience may be isolated and more rare than not, but it did indeed happen. I just can’t see myself pulling this off the shelf to play again unless it is someone’s favorite, and I can’t see this being anyone’s favorite game. Thunderstone is a solid deck building game. Inevitably, when someone asks, “What is Thunderstone?” someone answers, “Oh, it’s Dominion but with a DnD theme.” This is relatively accurate in that it is a deck-building game, but there are definitely some mechanics that separate it from its predecessor. For one thing, Thunderstone is a bit more complicated than Dominion. Players not only have to choose what “action” to play, and what to “buy”, but now they must also decide if they will forgo shopping entirely to fight one of the available monsters to score victory points. There is a lighting mechanic that makes monsters deeper in the dungeon harder to see and therefore harder to hit unless you have appropriate lighting. So now a player has to keep track of card prices, attack values, defense values, lighting effects, point values, and special effects. So here is by far my biggest beef with the game… the symbols on the cards to keep track of the aformentioned attack, lighting, VP’s, etc. All of the symbols look similiar?!? What!? What were they thinking?! Now anytime I pick up this game after not playing it for awhile, I have to reference which symbol means what because they are in no way intuitive. Why didn’t they make the “lighting” symbol look like a flame or even a lightbulb? Victory point value… shouldn’t it be a star or something? The ambiguous symbols make this game that much more difficult to teach a new player. Be prepared to continually remind someone of what symbol on the cards mean what. Most players into gaming enjoy the fantasy theme. It is well implimented. The artwork on the cards is your solid fair of monsters and dungeon delving. Each picture looks like one you would find in a player’s guide or monster manual. If you like leveling up heroes in a single play session, attack monsters, and earning spoils while playing a deck-building card game, this is definitely the game for you. My honest recommendation is to teach someone Ascension first. Then teach someone the concept of limited actions and buys in the game of Dominion. After they understand this, then they are well and ready for the added rules of Thunderstone. What holds this game back is the learning/re-learning curve. I’ll always remember the rules to Ascension and Dominion, but have to look up the rules for Thunderstone again and again. This is mostly due to similiar symbols/icons used on the cards. And let’s be honest with ourselves, having to reopen an instruction manual is one thing that keeps so many people from pulling something off the shelves. Otherwise, this game is a contender for one of the best deck-building games. My group’s opinion is that this game relies too much on luck compared to other “deck” building games. First, there is the luck of which cards are available for the game. Sometimes cards will come up that are useless compared to the rest of the cards in play, making it so that no player buys the dice on top of them. Second, there is the luck of which dice you draw out of your bag. If you drew nothing but quiddity (the currency in Quarriors), you’ll only have one buy to use it all. Third, there is the luck of which of the six sides of each die will show after you roll them. The game is so short that I’ve played a few games where someone has won the game before anyone has rolled a creature to put into play. Literally, a player wins before another player even scores a single point. Perhaps if the game was longer, the luck would thin out with the buying decisions. Here is a much quicker game, but not as fun: every person rolls a regular six-sided die. The person who rolls a 6 first wins. At least in this game the luck is more obvious. Metagaming has a few definitions. However, the primary definition of “metagaming” is playing a game outside of the most basic game. There are two great examples of metagaming found in Poker, and in Magic: The Gathering. In Poker, metagaming comes in from reading other players, providing false “tells”, and talking during the game to manipulate others. This metagaming is much more than simply trying to get the best hand in the game. In Magic: The Gathering, metagaming takes the form of players spending creating a deck between games. Both of these examples show the basic concept of how a game is much more than the rules found in a book. DnD 4th edition is more of the latter example of metagaming. Players will spend a whole lot of time looking at the player’s guides and/or the online character creator tool (a valuable resource) planning on which abilities their character will have once they level. In 4th edition, when a character gains a level, they typically gain a new ability. However, players much choose only one new ability from a list of several. 3 of 5: You do need to draw the cards that can help you most. 3 of 5: You do need to play the right cards at the right time, but you should never have to punch grandma in the throat for taking more than 5 minutes on her turn. The cards get to straight to the good part of the Monopoly board game without all the hassle, but lacks the haggling you do with other players. I first played 7 Wonders with a couple of new players and a few experienced players. I won the game by a landslide. However, I have no idea how. The game has a scoring/math sheet that is used at the end of the game. This alone is evidence that the game requires quite a bit of figuring and crunching to understand who is winning. During the game, I honestly didn’t think I was doing well. Other players, thought they were doing awesome! Yet, the end was a total surprise for all. The experience can be fun. Many players will cry foul at my suggestion that the end score is extremely surprising for some, yet many other players will agree. Regardless of where you stand, you can’t argue that the learning curve is relatively shallow and the playtime is comparatively quick. With that in mind, it is a small time investment for the amount of fun you can get from the game. You can’t please everyone all the time, but you can please some people some of the time. This platitude really does describe Citadels. Like many games, Citadles really relies on the people with whom you play to make it an enjoyable experience. Several people claimed, “This is the best game!” Even two gamer associates said, “This is my favorite game… period.” With such high accolade, I had to buy a copy simply off of blind faith. I have my “gamer” friends (avid gamers) and then I have my “regular friends. My “gamer” friends only get together every once in awhile (usually during game night at the local hobby game store) and my regular friends get together a whole lot. So the best games for me are the games that strongly appeal to both groups. Pandemic is a great and intense cooperative game. The first time I played it, I was with four friends. We beat the game, but barely. It was an intense time. The initial learning curve was a bit steeper than I would have liked. I’m usually pretty savvy in learning rules as I am an avid and frequent gamer. However, Pandemic required a bit of “going back to the (rule) book.” Certainly not as much as other games, but also it wasn’t immediately an intiative learn. It has been a couple months since I last played this game, and I know that when I bring it off my shelf again… I will need some refreshers on the rules. It is only this curve, and ONLY this learning curve that keeps the game from being a “go-to” game when I have friends over. This strategy is most important with more players. When losing, be loud. Be sure to point out who is winning, and who is in second place. Convince others they need to stop the lead player from winning. Do what you can to start the fighting. When winning, be silent. Bring as little attention to your victories as possible. The last thing you want is everyone to jump on your bids so that you have to fight and waste cards on winning ships. Find the balance between the two. If you can cause loud arguments in the beginning of the game, great. The best thing you can do is cause a rivalry between two players. Yet, be sure that if the attention is ever brought to you, you are clearly not winning. A tough balance, but the way to win the game. 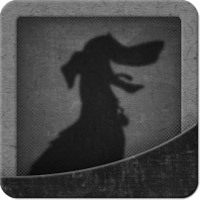 In case anyone didn’t already know, Fantasy Flight Games has an app to make Arkham Horror easier and quicker. This variant is actually described in the rule book, but so many groups don’t do it. Simply don’t give the spies a chance to see one another before the game begins. Now they are as blind as the Resistance. This variant is especially good to use when people begin to complain that the spies win too often (there is usually always one person who claims this). Here a few quick tips on how to lie like a champ. 1.) Observe. Find someone that you believe is most similar to you in personality and especially emotional reactions. See how they act when they are resistance and simply imitate them and their responses. 2.) You are Resistance. You are Resistance, even if you aren’t. As hard as it may sound, don’t think about trying to outsmart the Resistance. Instead, genuinely think as if you are the Resistance. You are trying to find the spies as much as they are. 3.) Switch it up. Pay attention to how you play as Resistance. Pay attention to how you play as a spy. Switch it up, ESPECIALLY if this means getting people to think you are a spy when you are Resistance. Think of this as an investment for future pwnage. I was an enthusiastic KickStarter supporter of Eminent Domain, and was honored to name a fertile planet after my family. The fertile planet “Gerdland” is worth 2 victory points, has a single resource, and has a production icon. Well, when playing with my family (the Gerdings), in our house… “Gerdland” is worth 5 victory points instead of just 3. Last night I had a gaming session with two players that NEVER played a single deck building game. I was worried that Eminent Domain would be too daunting for a first time player. I took Seth Jaffee’s advice and played without the tech cards to begin ( Eminent Domain Light ). Not only did they learn the game well, but they loved it! Everyone quickly understood how to play, learned every cards purpose, and even developed strategy quickly. They wanted to play again. Instead of putting all the tech cards into play for the next game, we only did level 1 tech cards. The game after that, we introduced level 2 tech cards. It was until a few games after that when we finally added the level 3 tech cards. Slowly but steadily adding tech cards ensures that every player learns EVERY card. Nobody gets “overwhelmed” with the options. A big complaint about Quarriors is that there is too much luck, and many of the cards are useless compared to others. To combat the latter, we have a card drafting system were players choose which creatures and spells should be in the game. This prevents having a card out in play that nobody touches, while also promoting reactionary strategy to cards that other players have already chosen for play. 1.) Get rid of your bug cards. If some plays the “poop” card, any bug card in your hand is going to hurt you at the end of the round. 2.) Hold onto your bird cards. Bird cards have the most links leading to them, making them the easiest card to play. The longer you hold on to them, the better you chances are that you’ll be able to play them later. Also, you’ll want to keep them in case someone plays “The Worm” powercard. 3.) Hold onto at least 1 light card and at least 1 lake card. The “drought” power card forces every player to play a lake card, or be eliminated from the round, so be ready. Also, the “sun” power card forces the next player to play a light card, or be eliminated. Yay!!! My game made the list! I’m thrilled. Zombie House Blitz! Don’t forget about the Zombie re-theme of Dutch Blitz! I was recently at the GAMA trade show, and I saw what Fantasy Flight was doing for their retail stores and consumers. They are creating a meet-up section on their website that will help gamers connect to the retail stores that are holding FFG events. This is great synergy for the retailers, FFG, and the players looking to game. However, it is a shame that such a meet-up is limited to just Fantasy Flight Games. I would love to see an aesthetically pleasing, easy to navigate, meet-up section here on boardgaming.com. How great would it be if retail stores could post any type of group meetup/tournament/event and players could find these events using a “match-maker” type system based upon preferred games, residency, and availability? Super awesome great! That is how great. Players already have their own profiles. If retail stores could have their own profiles, I believe that boardgaming.com could (dare I say) have even the functional edge over that “other” ugly, user-unfriendly, vastly popular website that shall not be named. I always end up playing The Resistance whether I intend to or not. It is usually saved until last call in our gaming evenings. Besides that, I just want to have a whole bunch of short (less than 30 minute) games. For Thanksgiving weekend, I am totally going to get some friends together to be the Co-op versions of Rune Age. Last weekend we finally beat Reiner’s LOTR game. I know that Minion Games, Cambridge Games, Indie Board and Card Games, and Moosestache Games all want in on the site. Please get their games on. If you need any form of contact information about these companies, let me know. The difference between a professional critic and the average joe is the ability to transcend one’s own point of view in order to help many others establish their own. Anybody can say they like or dislike a game, but not everyone thoroughly explain why. Therein lies the essence of a great review. Somebody not only provides their reaction/opinion to a game, but is thoroughly able to explain how or why they believe so. Moreover, a good reviewer understands that while they may not have enjoyed a game, there are others they might. I find it a bit disheartening that there are those out there that would abuse the system. However, I believe that BoardGaming is taking a step in the right direction. I believe that a slow and steady rate is a great way to reward casual and dedicated browsers alike. Nobody should be able to do too much in a single day. @Granny: The game is like this: The players each control a Mage. Two mages enter the arena, but only one lives. Players have spell books instead of a deck of cards, which means there is no random drawing of cards to determine what a player can do on their turn. If they want to summon a skeleton, done! If they want their Mage to throw a fireball… BOOM! The elevator explanation is like this: At the beginning of every round, the players can only choose two possible spells they want to cast. They remove those spells from their spell books and place them face down on the table (meaning they are committed to those two spells for that round). Then, the Mages take turns moving their Mages and any creatures they summoned (creatures are a spell type found within the Mage’s spell books). When they move their actual Mages, they can also cast one of their pre-selected spells. Turns within a round alternate (So I move a creature or Mage, then you move a creature/Mage, then I move… etc.). When they attack one another, they roll attack dice. Eventually one Mage is going down. The gameplay is actually very simple and intuitive. However, the combinations of spells and the variety of strategies make this game EXTREMELY REPLAYABLE. A sign of a good game is one where I lose, but I immediately want to play again. This is that game. I love this game for several reasons. The biggest reason is that Gary Games let me use this game to propose to my girlfriend. Check it out! @Wind Lane: Yeah, I only only Zombie Fluxx. The Zombie theme is what caused my fiancee’ to purchase this for me. We really enjoyed it, and since we easily pick up any Fluxx game when someone else throws it down. Notice any trends when playing with the same group? For instance, Spies win more than Resistance? Vice Versa? If so, why? First, I find it interesting that my experience was completely the other way round. At first it seemed totally based on luck, but then as I played more and more I noticed that it isn’t as much as I initially perceived. Sure, there is luck on what cards pop up and what cards might be available by the time it is your turn. Yet this is part of the “skill” of the game. I’ve learned (and I’m sure my gay lover, Aaron will agree) that part of the skill of the game is buying the most versatile deck AND adapting to what your opponent(s) are buying as well. I’ve played plenty of games where the opponent buys almost nothing but Heavy Infantry, and have been pretty consistent in defeated them. Heck, Ascension for the iOS has their computer AI do that exact same strategy… ON EASY MODE! (said with a cocky chortle that makes everyone want to punch him in the face). 1.) They won’t be able to afford most anything that cost runes (ESPECIALLY the more expensive Mechana Constructs… game winners with their VP). 2.) They aren’t removing too many of their lesser cards from their deck, inflating it with Militia and Apprentices. Sure, their is the vulture monster that allows you to remove something from your discard pile, but you are counting on the extra luck that a.) the vulture shows up & b.) that you have a discard pile when he does luckily show up and you have enough to kill him. 3.) With an inflated deck (see number 2), your chances are diminished that all 5 of your cards will be Heavy Infantry. To kill the strongest monster (or monsters if you bought the expansion) you need 7 power/attack. Defeating these high level monsters are game winners, giving you high VP, ending the game sooner, and also providing powerful other effects. Achieving this amount of power/attack is MUCH easier with cards that allow you to draw up more cards into your deck (hint: enlightened heroes) in combination with heroes that allow you to destroy lesser cards in your deck (hint: void heroes). Also, with enough runes/money, if you can buy the Hedron Cannon (mechana construct), get it into play… that is a game ender with both its VP and it’s ability to give you power/attack every round. Don’t forget Murumasa gives you 3 power/attack EVERY round! In conclusion, sure there is plenty of luck involved. However, after longer games and multiple plays… the luck will be thinned out by skill. This means that a good player will win more often than not, while newbs have a chance of winning. Although, here is another bit of advice, don’t tell my girlfriend that she only won because of luck or she will not have *** with you that night. Now Quarriors… that is a game infested with too much luck. I truly am a social gamer. My favorite games are the ones that bring people together and transcend the boundaries of mass market gamers and "gamer" gamers. Right now, I've been enjoying Ascension, The Resistance, and WooWee. It should now be mentioned that I love the game Mage Wars. So much so, that I volunteered to be the host for their awesome tutorial videos.